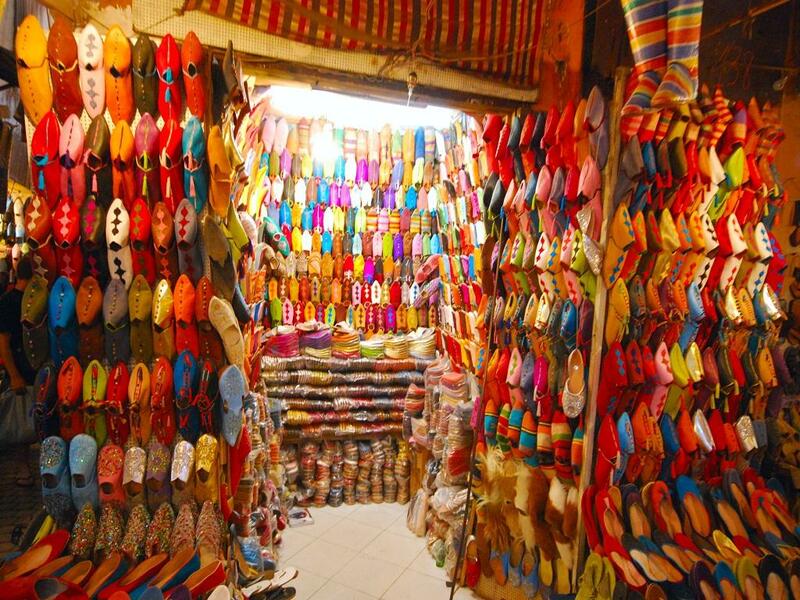 Shopping in Bangalore - Shop Till You Drop At These Markets In Bangalore! The 'Silicon Valley of India', Bangalore, is not only the leading IT hub of the country but also a major attraction for tourists because of its history and culture. A perfect blend of the old and the new, Bengaluru offers tons of options for the locals and tourists to indulge in sightseeing, explore the museums, eat and drink and of course, shop in some of the most vibrant markets in the country. Street shops are a girl's best friend as they offer the best variety of clothes as well as accessories at the lowest price! Bangalore sure has such shops in abundance. One of the most famous markets of Bengaluru, Commercial Street is a paradise for street shopping in Bangalore, with clothes ranging from costly to medium, to cheap each of them having superb quality. 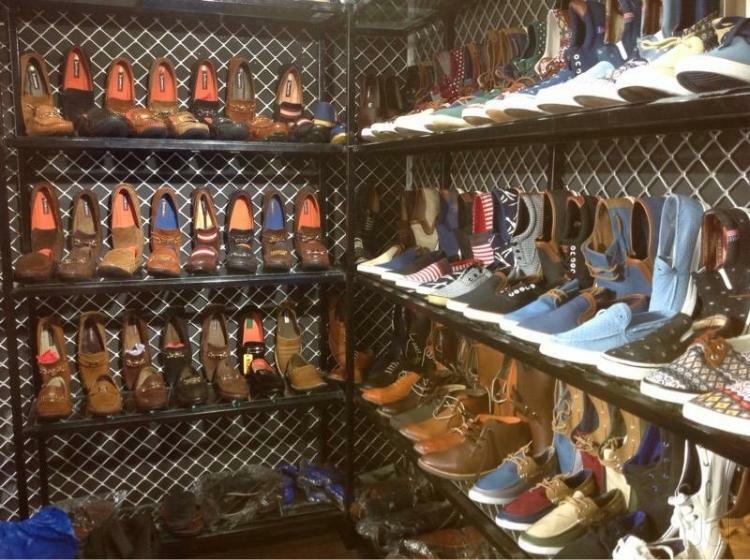 It is a one-stop destination for purchasing garments, imitation jewellery, sports goods and footwear. You can also look for antiques at affordable prices and also linen for your house. Commercial Street is crowded, and therefore, you must be prepared to walk a lot. Good bargaining skills are sure to make your shopping experience at Commercial Street much more worthwhile. You could try out Asiatic Arts and Crafts to buy small knick-knacks such as key chains, bells and other gift-items, VR Plaza (for readymade sari blouses), Jeweller's Street (for silver and imitation jewelry), Vashi's House of Jeans and Fusion Vicky's (for trendy tops and western wear) and Reliance Stationery Mart. Timings: Though there is no time boundation, the shops generally open by 10:00 AM and get closed by 9:00 PM - 9:30 PM. Shopping Tip: A friendly tip would be to bargain with the shopkeeper and not give the amount he asks for the straightaway. 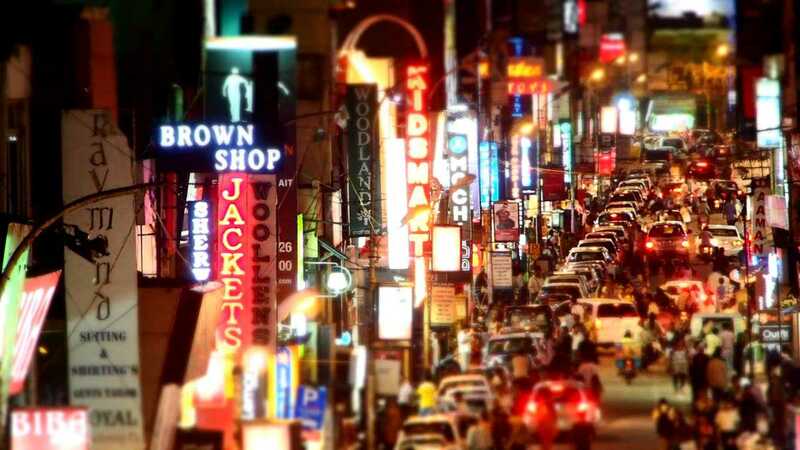 Chickpet is another most visited and adventurous shopping street. It is one of the oldest commercial districts of the city which is famous for its silk sarees. Chickpet has a formidable history of 400 years, and Bangaloreans swear by the quality and variety of saris and wholesale dress materials in this famous market. It is also known for gold and silver jewellery especially in Raja market. Head to the nearby Balepet to buy some of the most beautiful bangles in various hues and materials and Nagarthapet to have a look (if not to buy) locally made musical instruments. Chickpet is crowded and commercial, and you will have to make way through small lanes and bylanes but trust us, it would all be worth it! Timings: The market remains open from 9:00 AM in the morning to around 9:00 PM in the night. Shopping Tip: A friendly tip would be to follow the main street only to find stuff since the area gets crowded and confusing for one to find a way out. Jayanagar shopping complex is situated opposite the main bus stand in Bengaluru and is a heaven for shoppers. The shopping complex is massive and even confusing for first-timers. You can shop for almost anything under the sun in Jayanagar both inside the shopping complex as well as from the roadside shops. Whether it is groceries or sweets, spices or flowers, confectionery or condiments, Jayanagar is sure to drown you in a sea of options. You could buy artwork, pottery and sculptures at an affordable rate here as also toys, footwear and household goods. It is an eclectic mix of retailers and wholesalers who sell daily routine items to even luxury products. Once you are done with shopping, refresh and treat yourself to delectable food items that are worth a try. Shopping Tip: You could indulge in South Indian snacks (Shenoy Stores), chaat and pani puri (Rakesh Kumar), sandwiches (Hari Super Sandwich) and desserts at Cool Point. Located 3 kilometres from City Market, Brigade Road is located in between MG Road and Residency Road. Offering a plethora of options suited to every budget, Brigade Road offers a delightful shopping experience. Walk through the footpaths to explore branded showrooms selling garments, electronics, footwear and jewellery. Apart from that, drop in any of the numerous garments shops (such as Eva Mall) that sell non-branded but stylish tops and dresses at an affordable rate. You could bargain well with the hawkers selling t-shirts, key chains, wallets and watches. Make sure to visit Blossom's Book House which one of the oldest bookshops in the city and every reader's go-to place. Dotted with numerous cafes, restaurants and street food vendors, Brigade Road will leave you spoilt for choices when it comes to food! Timings: The timing of the market is from 10:00 AM to around 6:00 PM. Shopping Tip: Bargain and not pay immediately what is asked for. Dubai Plaza is located on Rest House Road. A massive shopping complex selling cosmetics, accessories, clothes and footwear, Dubai Plaza is heaven for the budget shopping. The basement of Dubai Plaza houses the Tibetan Plaza where you can splurge on electronic gadgets, perfumes, lingerie, quirky scarves, belts, wallets, super-stylish bags and purses and every imaginable item of clothing at dirt cheap prices. Make sure to check the items before buying for any defect, though. Timings: 10:00 AM to 9:00 PM approximately. Shopping Tip: It is advisable for the shoppers to check the cloth before buying it and return it in case of any defects. National market, the grey market of Bangalore, is situated near majestic. One can easily find clothes, accessories, phones, cameras and tablets there at a relatively lower price. Although one can get defective product, sometimes a person who has quite the knowledge and identification of electronic items can for sure obtain a pretty cheap deal with a good bargain at the place. The timings are approximately from 10:00 AM to 8:00 PM. A friendly tip would be to cross-check the material of the product in case anybody is paying the amount of a first-class product in return for a second-class product. With Hongkong Market and Burma Bazar nearby, Majestic Market houses local and Chinese electronic items, garments, perfumes, cosmetics and garments, which can be bought at unbelievable rates after a bit of bargaining. Checkout flip-flops, heels and sneakers in all the leading brands at affordable prices. It remains busy throughout the day being visited by the locals of the city to buy products of daily needs. An old market named Malleswaram old market, situated near the Ganesha temple, should definitely be visited. Timings: 8:00 AM to around 7:00 PM. Shopping Tip: Be careful while spending during festivals as the prices tends to rise at that time. One of the most popular traditional markets of Bengaluru, Malleswaram is famous for its flower market, herbs, spices and vegetables. It is also famous for the Kaadu Malleswara Temple located nearby, from which this market gets its name. The hustle-bustle of this market and its traditional items lend it an old-world charm. Treat yourself to street-food delicacies sold here in abundance. Shop here especially for handicrafts, utensils and spices. 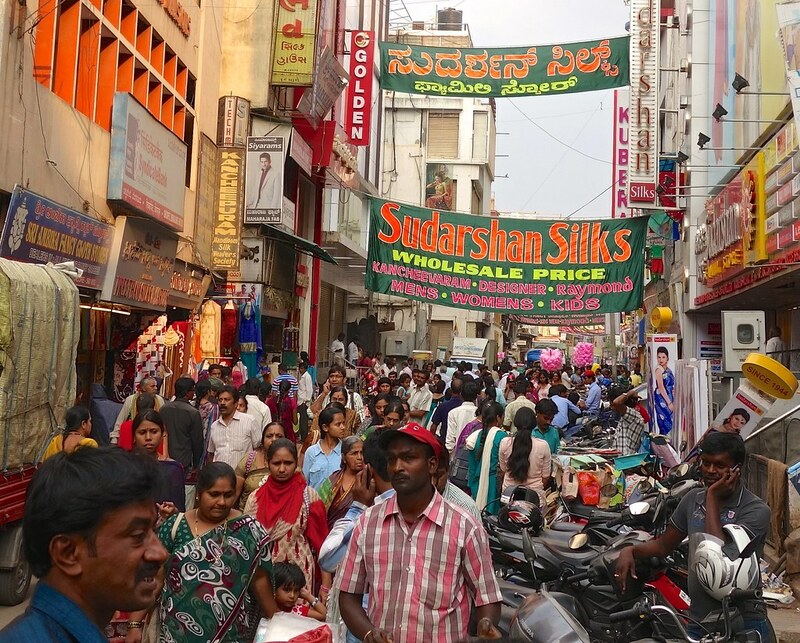 One of the busiest commercial centres of Bengaluru, MG Road is another place to shop for beautiful silk sarees, especially at Prasiddi and Deepam Silks. MG Road is also an excellent haunt to purchase handicrafts from places such as Cauvery Emporium. Higginbothams, India's oldest bookstore founded in 1844, is also located here and is a must-visit for every book-lover. Stores such as Kids Kemp are popular with the tourists and locals alike. 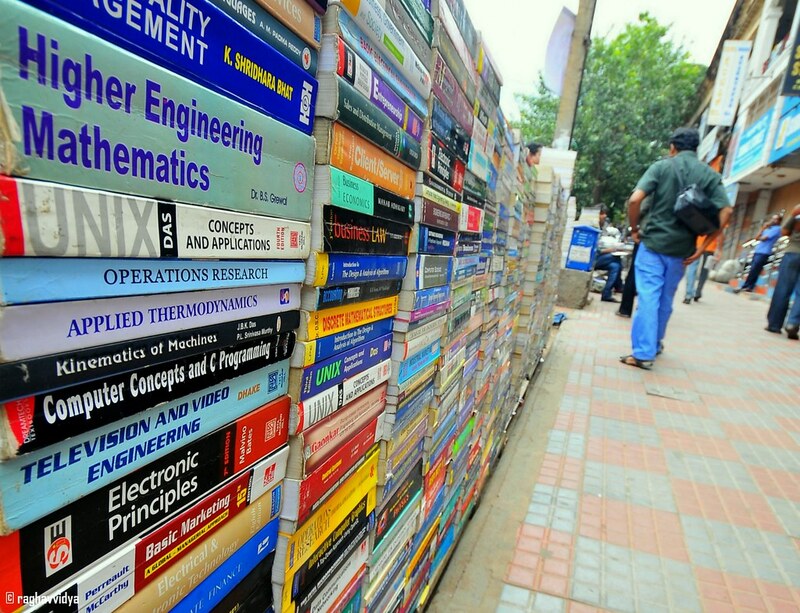 Dotted with heritage buildings and lying close to Chickpet and Bengaluru railway station, Avenue Road is best known for second-hand books. From textbooks to novels to cookbooks to books on architecture, the hawkers here are sure to give you the best deal. Most of the books are in excellent condition, and if you are lucky, you might even find some rare edition of your favourite novel here! It is also the place to buy school and college textbooks at cheap rates. Apart from books, you can shop for raw materials for decoration and gift packing, jewellery, garments and stationery. Timings: 9:00 AM to around 8:00 PM. Located in Basavanagudi locality, this market is famous for traditional religious items, clothes and trinkets. Gandhi Bazar is in its full glory during the festivals. You could visit Vittal dresses, Mysore Silk Emporium and Indu fashion for purchasing garments. Greeting Gardens and National Novelties are other places that can be visited. Make sure to taste some of the most delicious street foods here and while you are at it, try out food at Vidyarthi Bhawan. Timings: 10:00 AM to 7:00 PM. Shopping Tip: Eat out at Vidyarthi Bhavan for sure. So what are you waiting for? Take your pick from the list and splurge on your favourite items when you are in Bangalore next, that too at reasonable prices. With all its colour, vibrancy and variety, this place is definitely not to miss. And trust us; shop till you drop and you are sure to carry a bagful of memories of these mesmerizing haunts once you are back! Bungee Jumping - The Leap Of Faith In Bangalore! Malls in Chennai You Must Visit For Shopping and More!